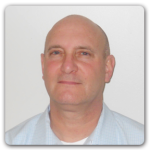 Leadership Bio: Jon D. Elster | BCV Solutions, Inc.
Jon Elster is BCV’s senior software developer and technical lead charged with developing and implementing the firm’s expertise in various data collection, monitoring, reporting and visualization engagements. Since joining BCV, Jon’s expertise in delivering creative designs of intelligent, executive dashboards, secure cloud-based enterprise database development, document archival and reporting management systems has maintained the highest quality in the firm’s software development projects. Additionally, Jon’s expertise in expanding BCV’s capabilities in advanced, intuitive visualization and mobile technologies effectively contribute to BCV’s success in enhancing the visual experience of data representation to our system end users. Jon’s technical leadership in delivering a broad array of application and web programming, database development, computing languages and systems skills enables BCV to consistently deliver successful mission-critical software engineering efforts with each engagement. Prior to joining BCV has demonstrated his extensive software engineering skills in the design and development of various large-scale database structures, biometrics scanning systems, custom web and application development, and supply chain work order management systems. Jon holds a B.S. in Engineering and Business from Drexel University, and a M.S. in Systems and Software Engineering from Johns Hopkins University, and presently holds a Secret-level clearance.